Due to the compact design requirements of the M157 engine, each turbocharger is mounted towards the front of the engine. 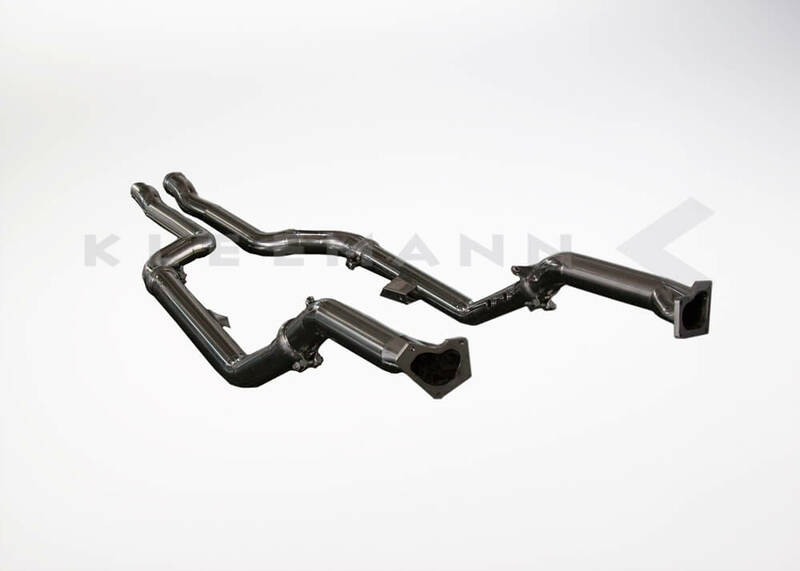 This means the exhaust down-pipe is actually 2 parts consisting of a “bridge” pipe which connects the turbocharger to the downpipe and of course, the down pipe. The factory bridge pipe on this engine represents an extremely large pumping restriction which means there is a great deal of room for improvement. 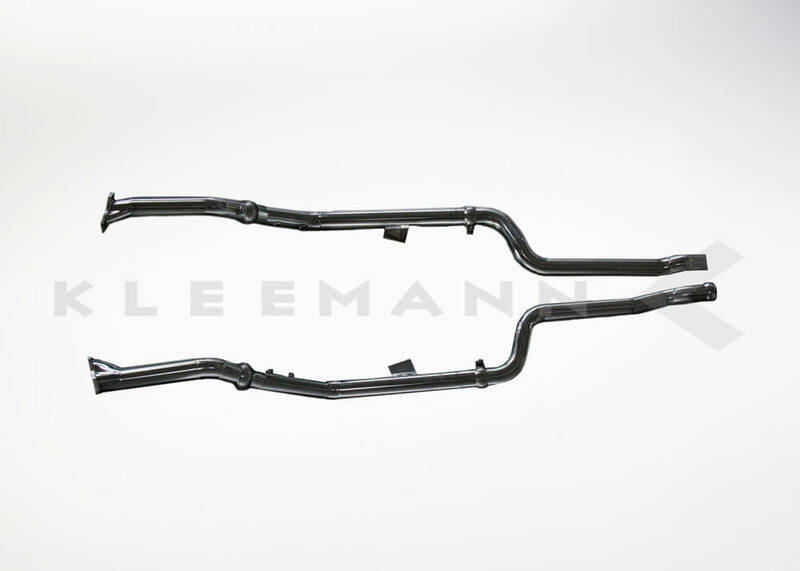 Kleemann’s engineers have made substantial improvements to the factory bridge pipe by both enlarging it’s diameter and removing any unnecessary bends to minimize pumping restrictions and maximize exhaust flow. 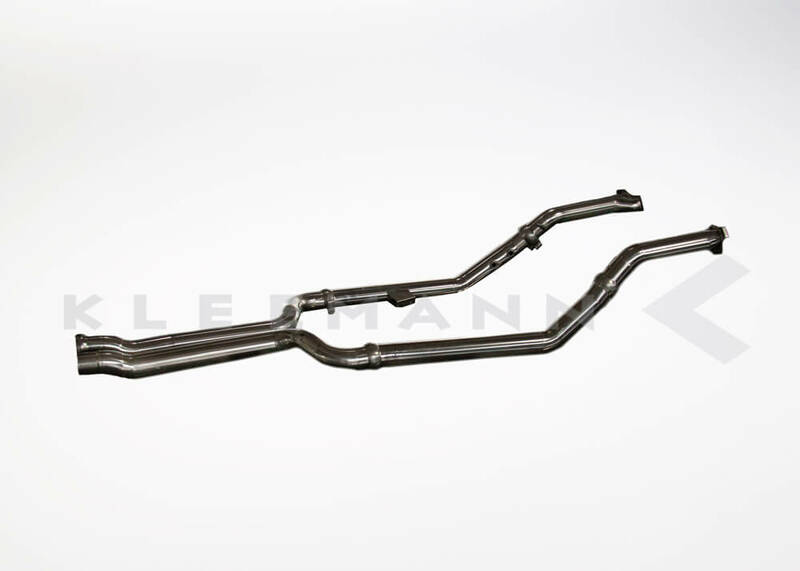 Kleemann’s bridge pipe and cat-delete down pipe upgrade will deliver gains of up to 70 HP and 150 NM of torque (111 lb/ft. ), faster turbo spool-up and will give the exhaust note a healthy upgrade in both volume and tone. Constructed of high quality stainless steel, we utilize factory mounting locations and flanges for a truly bolt-on installation. Unlike many of our competitors, our Bridge Pipe upgrade includes all of the gaskets and fasteners that are necessary for installation so no additional parts need to be purchased. Our bridge pipe upgrade is one of the most cost effective ways to add a substantial amount of power and torque to your Twin-Turbo AMG V8. 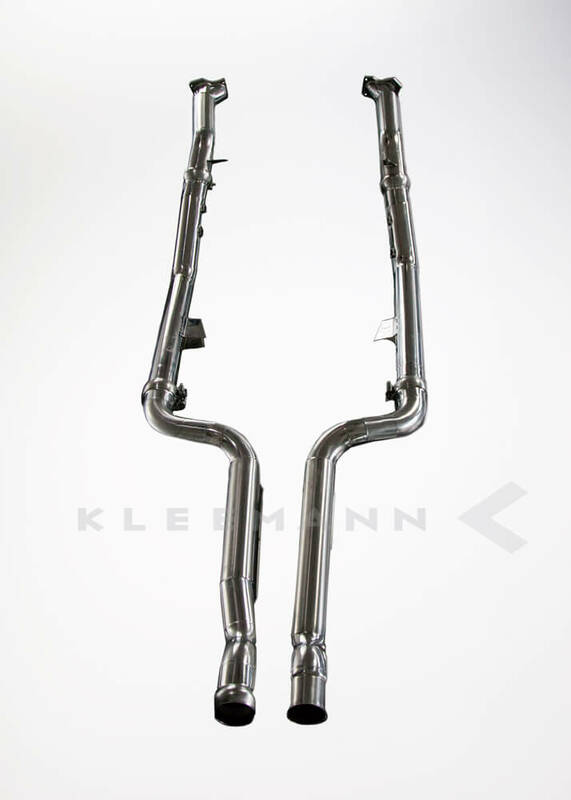 When maximum power and aggressive sound is required, the KLEEMANN Bridge Pipe is sure to get you there.